Josephine is a quiet, gentle soul. We believe that she is a Neapolitan Mastiff mix and has many of the Neo personality traits, but without the massive size. She's probably in the 60-70 pound range. 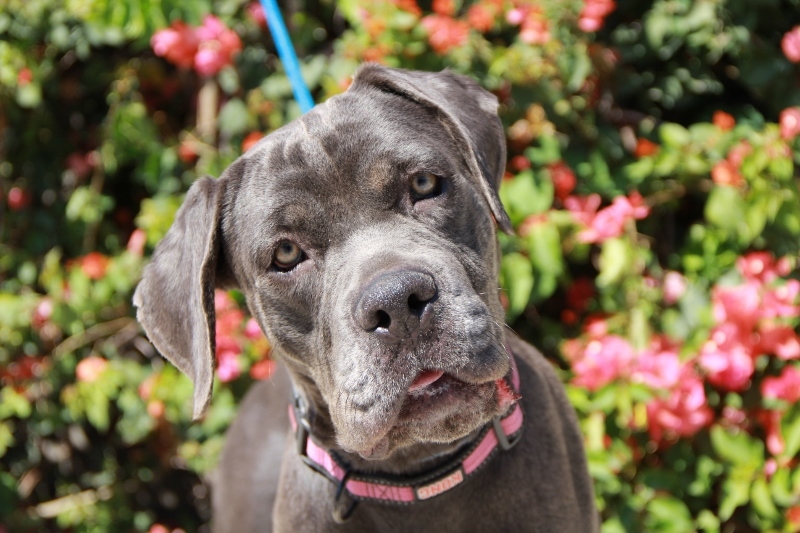 All of our volunteers have fallen head over heals for this sweet Mastiff queen! with people right from the start. It's hard to fathom why anyone would dump a dog as regal as Ms. Josephine. If a low maintenance beauty is what you desire, by all means, give in to your desire!